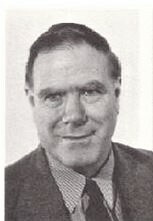 John Ferguson, Professor of Classics in Nigeria, the United States and England, became the first Dean of Arts at the Open University and was also President of the Selly Oak Colleges in Birmingham, pacifist, cricketer, singer and opponent of nuclear weapons. Two years after his death in June 1989, the Centre for the Study of Global Ethics was founded, headed by a Professor of Global Ethics, a position established in memory of John Ferguson, with funds contributed by a family trust. It was set up to address the key ethical issues of our time and is hosted by Birmingham University’s Philosophy department. Emily Knowles, who leads the Oxford Research Group’s Remote Warfare Programme acknowledges the expertise which the Institute for Conflict, Cooperation and Security at the University of Birmingham has shared with the ORG. The Birmingham Policy Commission earlier published, “The Security Impact of Drones: Challenges and Opportunities for the UK” (University of Birmingham, October 2014, summary and final report), which concluded at the end of its review that there was a need for clearer, more forthcoming public communication and transparency on the part of the UK government, and the MoD in particular. In October 2017, a panel of practitioners, activists and academics reflected upon the ethics of armed conflict and the legality, morality and strategic implications of the Reaper Drone ten years after its introduction to active service in the UK. The event was hosted by the Institute for Conflict, Cooperation and Security at the University of Birmingham. The late, great Professor John Ferguson`, ‘a committed Christian pacifist’, would have wanted the Centre for the Study of Global Ethics (University of Birmingham) and Dr Heather Widdows, who is the John Ferguson Professor of Global Ethics at the centre, to have participated in this event. Perhaps they did. CGSE was set up to address the key ethical issues of our time. Is not ‘remote killing’ – aka drone warfare – a key ethical, moral and legal issue of our time? John Ferguson would certainly have said so – and denounced it forcefully!